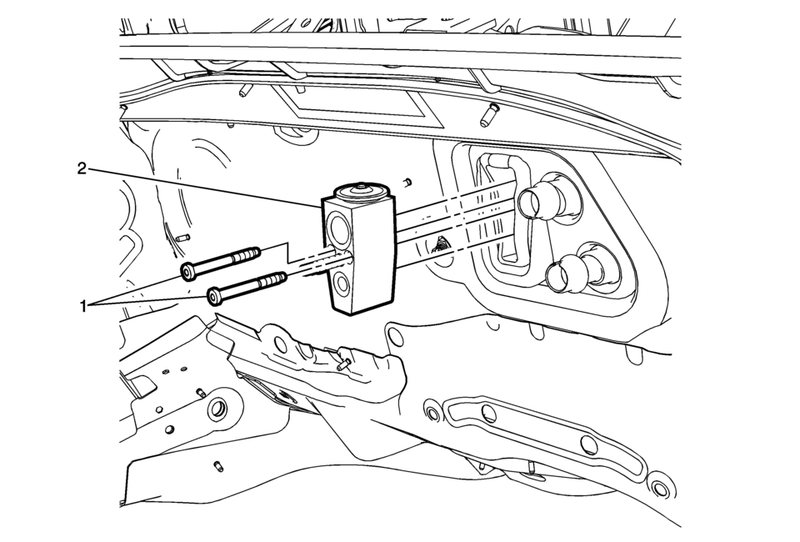 Remove the air conditioning evaporator hose assembly from the thermal expansion valve. Refer to Air Conditioning Evaporator Hose Assembly Replacement. Use NEW system seals. Refer to Air Conditioning System Seal Replacement.